In this post we’ll be seeing our review of the Garmin Montana 680t GPS. If you are into outdoor sports and challenging activities, having a reliable GPS handheld device is definitely a must. Instead of spending a lot of time finding the best spots and exploring locations, you can rely on your device. But just before you finally decide which one to get, it helps that you take time to compare the choices. Like in buying the Garmin Montana 680t, the product has been receiving good reviews. Then again, you still need to look at its specifications, key features and what it can offer. Is this the right GPS handheld device for you? Let’s take a quick look! 2 How about the quality? With its high-sensitivity (GPS and GLONASS), it is a very reliable device that you can use to find your way. Even when you are in deep canyons, you will not have any problem. Has a track manager that allows you to organize and work your way around routes, waypoints, etc. The device allows you to share your adventures to other explorers and to your loved ones. It only comes with 1 one color. The Garmin Montana 680t is unlike no other. It sports 4-inch color touchscreen with dual orientation. It is globe-friendly and it loaded with lots of amazing specifications. It has TOPO U.S. 100K maps that you can use to find the perfect spots for your next outdoor adventure. The Garmin Montana 680t also comes with 1 year subscription of BirdsEye Satellite Imagery. With the help of this GPS handheld device, you can take it anywhere from hiking, hunting to water activities. What makes it a very useful device is that it does not work solely as a GPS device but as well as a camera. The device works like a digital camera that allows you to take shots of your adventure. Of course, it is not as high quality as professional cameras but it has good quality that comes with excellent resolution. Why hassle yourself in bringing a bulky camera if you can take with you the Garmin Montana 680t that can produce the same quality of image. Plus, the device automatically geotags the location. At first glance, you will already like the built of the Garmin Montana 680t. But it does not stop there; the device showcases a lot of amazing features that you can find really useful along the way. One of the things that people like about this device is it can give you a much more improved positioning. With its 3 axis-tilt compensated compass and barometric altimeter along with its access to GLONASS and GPS satellites, you can have faster fixes and better positioning. This is what makes this device a reliable one. It is has a highly sensitive GLONASS and GPS reception not to mention that it has a WAAS receiver and a HotFix satellite prediction. 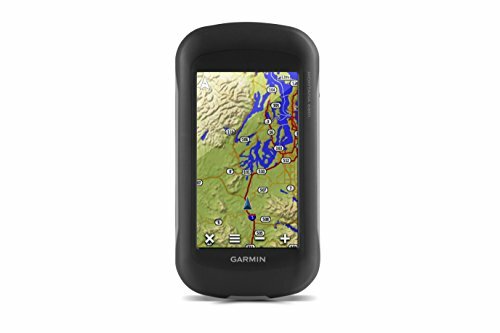 Garmin Montana 680t can depend on your device to help you find your location especially in times when you need it. Most people find it hard to navigate and to use GPS handheld device. But the nice thing about Garmin Montana 680t is that it gives you a better view with its vast touchscreen display. Even if there is sunlight, you will not have a hard time viewing information and images. The display is very vivid and can produce high-res images. Its touchscreen feature is very easy to use and navigate. And for outdoor activities, this is a very important feature. You do not have to spend a lot of time searching for info and other details. Another amazing feature of the Garmin Montana 680t is that it lets you plan your trip. It comes with a BaseCamp software that allows you to view and even organize the details of your travel. Organize tracks, routes, waypoints and maps using this free software. You can even share your adventures with your loved ones and other explorers. Basecamp software provides topographic map data either in 2D or 3D on your computer. This includes the elevation profiles and contour lines. The Garmin Montana 680t uses Lithium-ion batteries which has a battery life of up to 16 hours. You just need to recharge the device and you are all set. With all the Garmin Montana 680t has to give, you cannot find any reason why not to like this product. For one, Montana is specifically designed for adventure lovers and those who simply enjoy outdoor sports and activities. Second, it is preloaded with amazing specifications and key features that you can find really useful wherever you go. Whether you are in the city or you are in the deep canyons, a GPS handheld device will always come in handy. In terms of performance and reliability, this is far by one of the best. The only downside is that it is quite expensive and it only comes in 1 color. But apart from these minor downsides, this is a good GPS handheld device and digital camera in one.